A vast range of exercise systems haves evolved in the last 2000 years of Chinese history. 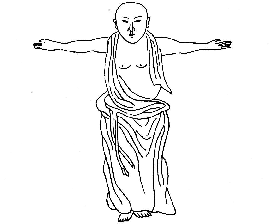 Most well know include Taichi Chuan, Chi Gong, Dao Yin [guiding and pulling] exercises, Ba Duan Jin tendon stretching exercises. All these exercise systems aim to improve posture and alignment, mobilise and activate parts of the body as well as calming and focusing the mind. T’ai Chi Ch’uan is often translated as ‘The Supreme Ultimate’. The form consists of a long sequence of flowing movements which are performed at a slow and rhythmic pace with deep co-ordinated breathing and full concentration. These movements contain the essence of good health and longevity and help the practitioner develop strong internal energy. 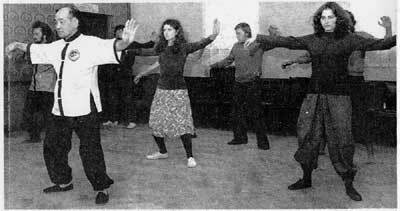 T’ai Chi is a suitable exercise for everybody, whatever their age or state of health. It is practised throughout the world by people of all cultures, religions, lifestyles and beliefs. A moving meditation, T’ai Chi soothes and calms the nervous system, promoting a sense of inner peace and tranquillity. The gentleness of the exercise ensures that anyone practising does not suffer strains and other muscular injuries, but obtains greater strength and stamina while developing a flexible and supple body.